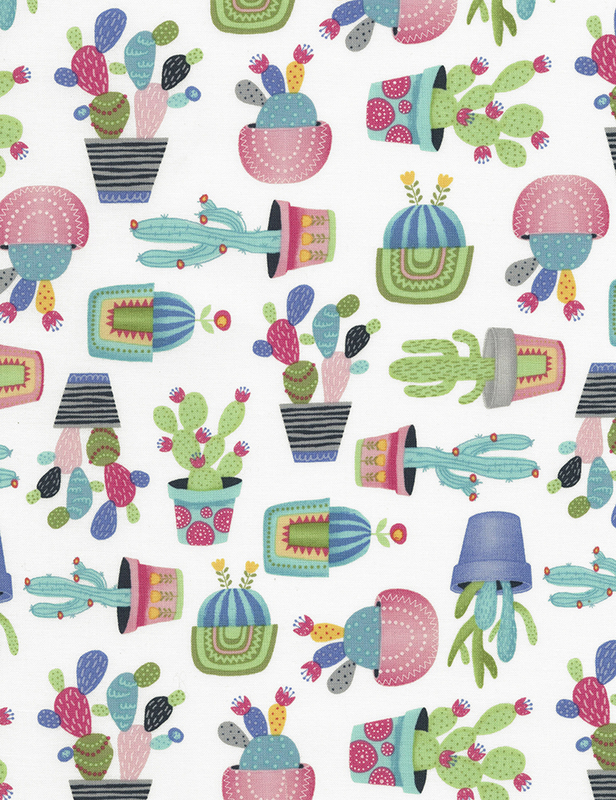 White with potted cactus in fun vibrant colors. From Timeless Treasures. 100% cotton. 44"-45" wide.